What we are seeing now are Saudi efforts to build a regional bloc, a Wahhabi Muslim Brotherhood bloc, says Ali Rizk, a MidEast affairs expert. Given Saudi Arabia’s irrational policies, it’s likely that Riyadh’s current row with Iran will only escalate, he adds. Bahrain and Sudan have followed the lead of Saudi Arabia, in cutting diplomatic relations with Iran. On top of that, the United Arab Emirates has downgraded ties with Tehran. 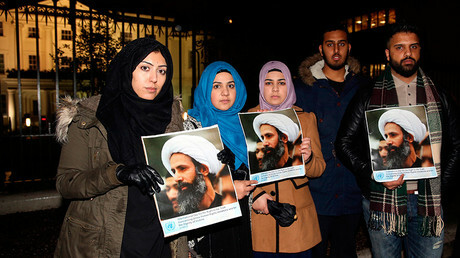 It's the latest escalation of a sectarian row over the Saudi execution of a prominent Shia cleric, Sheikh Nimr al-Nimr. RT: Iran has called the Saudi-led diplomatic breakoff a dangerous move that would only lead to further escalation of tensions. What are your thoughts on that? Are the Saudis being shortsighted here? Ali Rizk: I wouldn’t only use the term ‘shortsighted.’ I think they are being irrational in their regional policies. And I think that in general it comes down to the policy of King Salman ever since he assumed the throne from the late King Abdullah. Ever since King Salman came to power, you have seen these extremist irrational policies. For example it was Salman who cut off any Saudi contact with the Houthis. It was during King Salman’s reign that Saudi Arabia launched war on their neighboring Yemen, a war that hasn’t accomplished anything but the further spread and expansion of the foothold of Al Qaeda, Islamic State [IS, previously ISIS/ISIL] and their affiliates in Yemen. RT: What’s the next stage, do you think? Are things going to calm down or is the situation going to escalate? AR: I don’t see any easing of the situation; I do see more escalation. The current ruling Saudi regime does not appear to show any sense of rationality. We saw the visit of the Turkish President Recep Erdogan to Saudi Arabia. It’s interesting that right after this visit we saw Saudi Arabia go ahead and escalate the [situation] by executing Sheikh Nimr al-Nimr. Now we are seeing the cutting of ties not only by Saudi Arabia but by those on Saudi Arabia’s payroll, like Bahrain and Sudan. What we are witnessing now are further efforts by Saudi Arabia to build a regional bloc, a Wahhabi Muslim Brotherhood bloc. Possibly this block may include Israel, because we see now how Turkey is getting closer to Israel. So if you put it all into consideration you have this effort by Saudi Arabia to put together this anti-Iranian block in the region. RT: What do you think the reaction from Washington will be? AR: So far, the reaction of the US has been predictable. 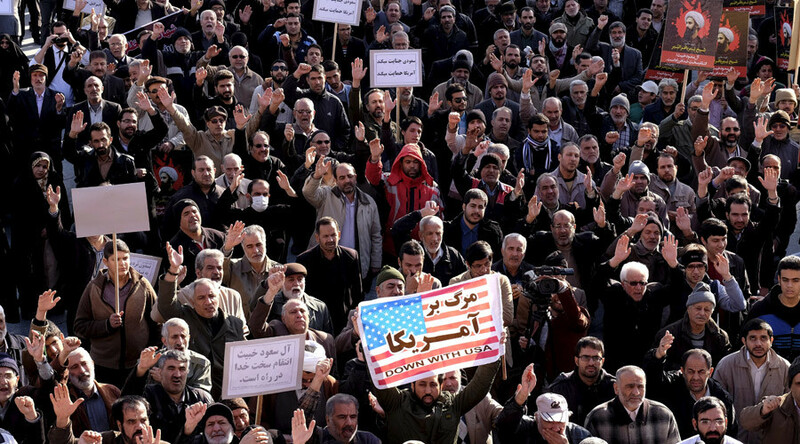 They are expressing concern; there was this phone call made by Secretary of State John Kerry to his Iranian counterpart, calling for a calming down of the situation. I do believe personally that this latest escalation by Saudi Arabia, this latest execution and igniting sectarian tensions – I don’t think they would serve the Obama administration very well. Obama is at the very end of his term and would want to end his term by reaching a political settlement, be it in Syria, in Yemen or elsewhere. One way or another Saudi Arabia’s policies are inflicting harm on the legacy Obama aims to achieve by trying to reach political settlements that would include different players in the region. 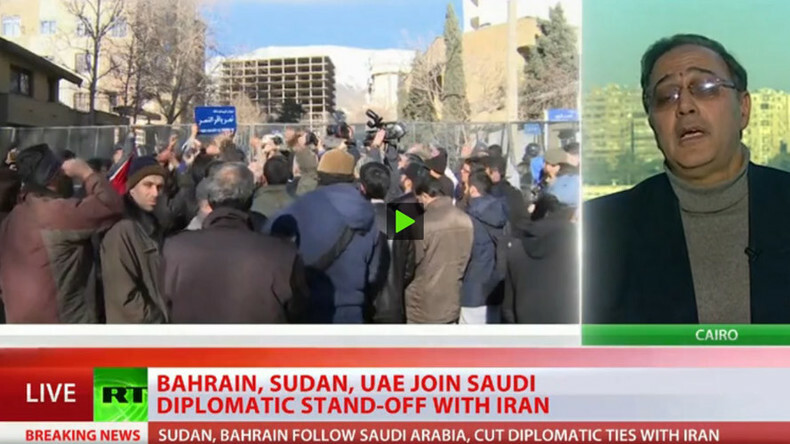 Said Sadek, a professor at the American University in Cairo, argues that Tehran and Riyadh have “painted themselves into a corner” as neither of them will benefit from an escalation. “Also, they don’t have any card to play. Should Iran attack Saudi Arabia, or should Saudi Arabia attack Iran – both sides cannot do that,” he told RT, adding that at the same time neither of them would want to “lose face and legitimacy” in the eyes of their own populations. “This is the best time for mediation,” Sadek said.